There are a variety of things that one can do in Myanmar, especially at night. The nightlife in this country is filled with richness and rights from enjoying the delicacies at the beach restaurants to shopping at the markets that open at nights is an extravagant feeling for every visitor. 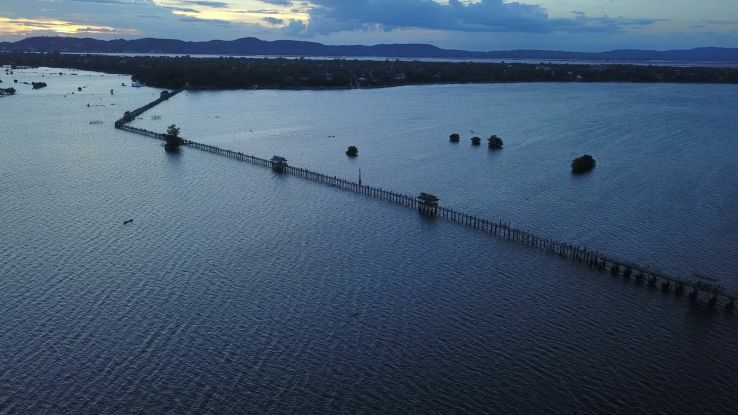 The U Bein Bridge is situated in Mandalay's Amarapura and has turned out to be a great form of attraction for the ones who like to see the glaring sun slowly fade out during sunset and take the golden feeling of the surrounding. This is more like a picturesque view and worth appreciating and experiencing. This is the point of time where the nightlife in Myanmar starts. This is something that adds on to the taste especially in dim light, and the beer is known across the globe. Local beer of this country is domestically prepared in the microbrewery and is famous around the globe because of its rich taste. Taste the domestic beer at night in Myanmar while partying which is the ultimate experience of one's lifetime. Some of the best places to have a local beer in Myanmar are Feel Restaurant, 50th Street Bar and Grill, Pansuriya, and Rangoon Tea House. The night markets in Myanmar are famous for both the product variety and the available delicacies. People hovering around the night markets in Myanmar get a taste of the Burmese ethnicity, culture, and their tradition. The markets remain open till late night all year round so that people can enjoy the foreign or domestic tours to the fullest without falling short of time at any instance. The most common night markets in Myanmar in Yangon, Anawrahta Road, Chinatown Yangon, and Mandalay. 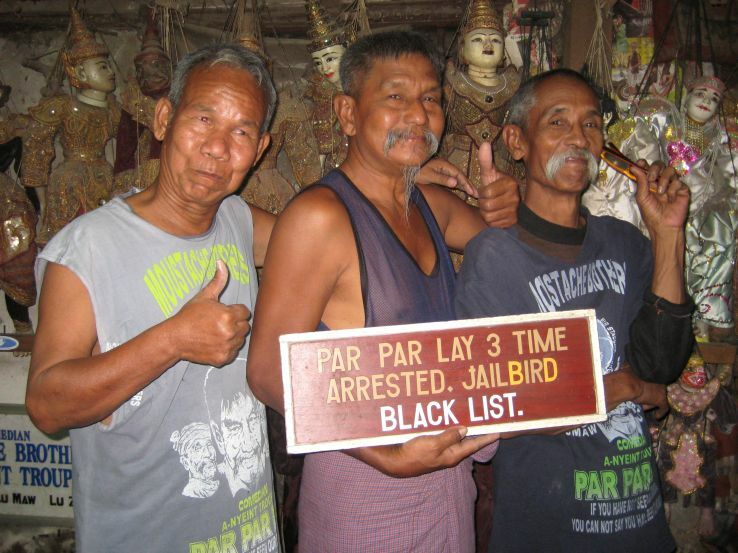 Another attraction of Myanmar is the comedy show done at night by The Moustache Brothers. This gives every viewer among the audience a wonderful experience and is considered as one of the best things to be done here at night. The show is conducted on a very small stage made of wood and is conducted by two brothers who showcase all scenarios relating to politics and social life in a dramatic comedy way through dances performed in a traditional manner. The shows usually start from 8:30 pm and the place to visit for watching the show is the 39th Street in Mandalay. 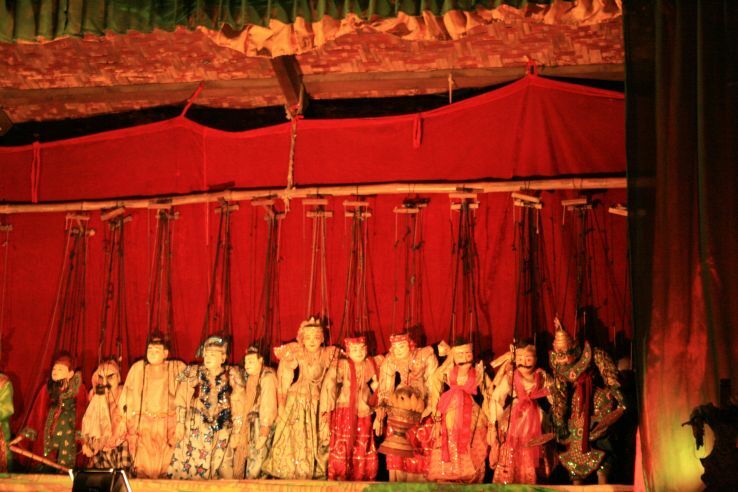 The puppet show in Myanmar is very famous, and it gives all the viewers a wonderful nightlife experience with the puppets that are colorful marionette and are used in imparting ancient fantasy tales. Ancients tales like Buddhist Jataka and Ramayana are explained in a very creative manner using the puppets. Each show can last for an hour, and each point is so entertaining that people do not like to miss out on even a single minute. The show is conducted from 8.30 to 9.30 pm every day on the 66th street of Mandalay. Myanmar is famous for its lip licking street foods, which are mainly available in the markets at night. All markets in Yangon and Mandalay serve delicious street foods at night, and the variety of food is immense. Not compromising on the hygienic factors and eating to one's heart's content at night in Myanmar is a cherishing moment that almost all visitors experience. There are a lot of restaurants in Myanmar to choose a night out and dine out simultaneously. However, the one at Bagan emphasizes mainly on romanticism. 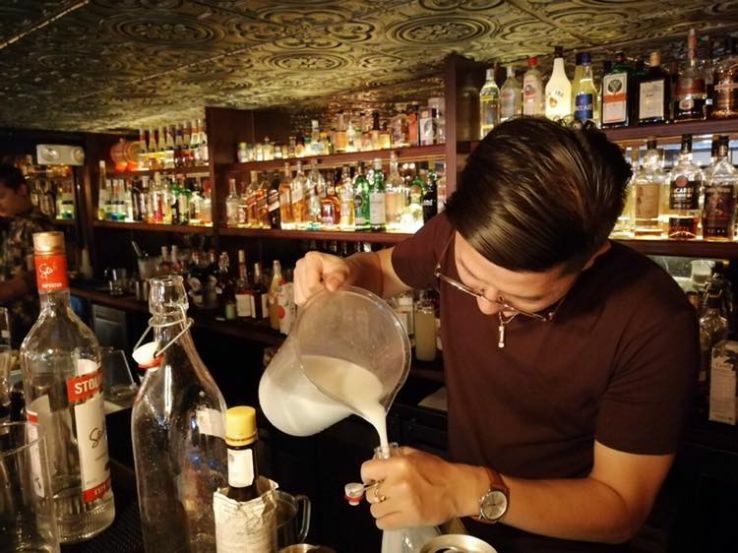 This is one of the most impeccable experiences for Myanmar's nightlife, and every visitor has the option to visit the restaurant by booking tables in advance. The most common restaurants in Bagan are the Sunset Garden Restaurant and The Beach Restaurant. One can party, club, and enjoy at Yangon. Clubbing plays a vital part in enjoying the nightlife and spending it while partying. Dressing up and partying hard till early morning is what generally a majority of tourists visit Myanmar for. Some of the best night clubs in Myanmar are BME 2, Pioneer, Penthouse, Channel V, Fuse Club, and The Vibe. Other than Myanmar's night clubs, there are places that host cool karaoke for dancing, singing, and enjoying to the heart's content with the loved and dear ones. One of the best clubs here is One Music Entertainment Club which is renowned and popular. Booking KTV rooms and all on the same floor are the options provided by this club as per the individual's wish. Some of the best places are Carnival, Music Box, and the G6 Karaoke Resort.